Our team is hands down what makes us most different. I walk through our back door daily at peace, knowing that no matter what is on the day’s platter, I have a support network in place that not only has my back on tough days but can also celebrate anything anytime. They are salt of the Earth, talented, and confident in what they do and do not know. Our hiring process is tedious, our employees are in charge and are fiercely protective of our practice culture, working diligently to ensure that new team members have the right personality for our clients and our team. Staff then patiently train new hires, instilling into them what it means to “exceed expectations”. While the veterinarian is often the primary focus for clients, they are nothing without a strong team to support them. I could go on indefinitely bragging shamelessly about our team of veterinary care providers. But truly, if you really want to understand their impact, read their reviews as time and time again the team is mentioned in them. That is when I know we are doing something right. James Herriot, 4H, and a cat named Cicero all made Dr. Burgess who she is today. Born and raised in Kansas City to high school teachers, summer driving trips were spent listening to All Creatures Great and Small on the car radio. An interest in veterinary medicine and a determination to embrace all things animal was born. Volunteering for the local vet at fourteen turned into a high school job and taught her the ropes of the profession from kennel cleaning to answering phones. 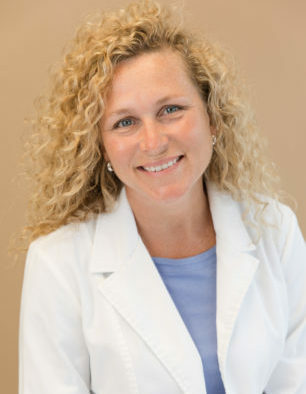 Dr. Megan Mosier graduated from Kansas State University in 1999 and then completed a small animal internship at Hollywood Animal Hospital, a large specialty/referral hospital in Florida. Since then she has practiced small animal medicine in a variety of practices as an associate and then as a relief veterinarian. After meeting her future husband in Florida, Dr. Mosier relocated to the Chicagoland area where she lives with her husband, son, and twin daughters. In her free time she enjoys horseback riding, taking care of her myriad of pets (rabbits, dog, cats, gecko, and horses), and travelling. 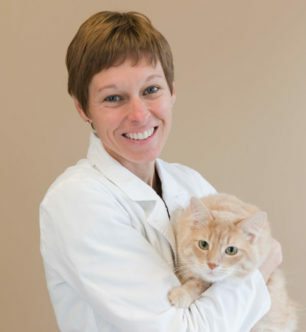 Over the last twenty plus years Dr. Erica Gibbs has practiced small animal medicine, large animal medicine, and been a practice owner. More recently she has dedicated herself to relief veterinary medicine. Relief veterinarians work independently and “fill in” for practice owners as needed. Dr. Gibbs lives in Lake Geneva, WI with her husband and two labrador retrievers Chelios and Diamond. During her free time she enjoys cooking, traveling, and playing golf. Ensuring that our patients and clients receive the same experience every time they visit Healthy Paws while personally balancing work and family time can be challenging in a single doctor practice. I would chose to close for a day before having the wrong person treat my patients or work with my team. Meeting Dr. Gibbs two years ago was a sigh of relief for me. Her practice style, medical knowledge, and respect for our team fall right in line with our practice culture. Dr. Gibbs’ years of experience and calm compassion allow our practice to grow gracefully. 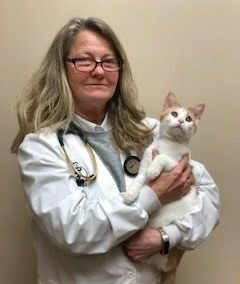 I look forward to having Dr Gibbs as a part of our team allowing us to expand our hours and continue providing an amazing and reliable veterinary experience. 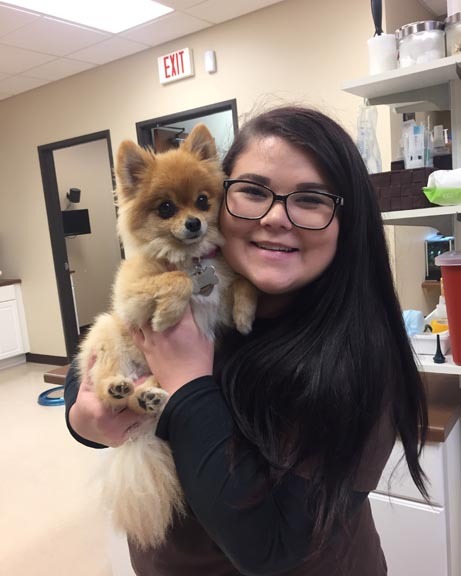 Brooke started at Healthy Paws in January 2016 as an extern. 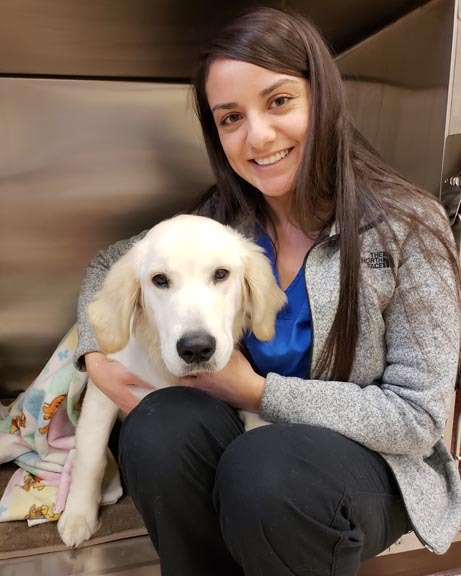 She officially joined our Healthy Paws team in March 2016 after graduating with her Certified Veterinary Technician degree from Rockford College. Brooke lives with her basset hound mix Annabelle, her boxer mix Cheddar, and her husband Eric. In her free time Brooke enjoys spending time with her family, her nephew Leo, and up until just recently planning her wedding. I first heard about Brooke from a previous co-worker that I greatly respected. She suggested Brooke as a potential extern. While I was not sure we were ready to support a student, I knew there must be something special about Brooke for her to come so highly recommended. Was she ever spot on. Since then we have seen Brooke grow from a green new grad to a confident veterinary care provider. Brooke is a go getter, always willing to take on new tasks and put more on her platter. Her work is impeccable while her love of animals is endless. Brooke’s husband is a tattoo artist and while I myself do not have any tattoos, I love seeing the beautiful artwork he creates. While initially a bit shy, Brooke has quickly blossomed, becoming a very talented technician. Cheri joined the Healthy Paws team in 2012. 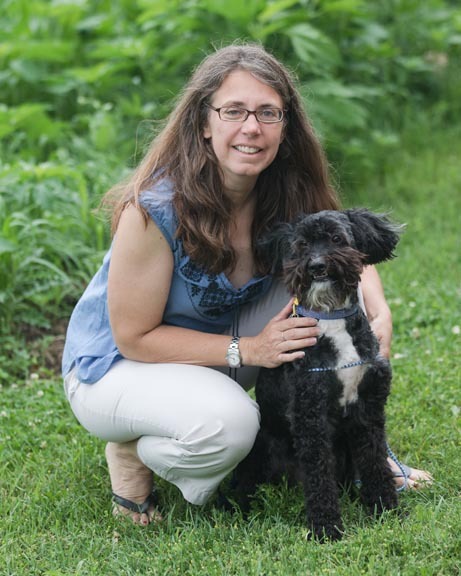 She has over 20 years of animal hospital experience with various specialty experiences including surgery, diagnostic imaging, emergency, and critical care. Cheri has a Bachelor of Science degree in Animal Science from Andrews University and an Associate in Sciences and Arts degree from College of DuPage. She is married with one son and shares a home with her dog Max. In her free time Cheri enjoys spending time outdoors hiking, biking, and traveling. On the weekends Cheri takes our pet rats home to spend time with her family. Cheri and I worked together at a specialty hospital in Downer's Grove. When we were planning Healthy Paws, I told her there would always be a spot for her working with me, just say the word. I still remember the call two years later and my joy at being reunited with this amazing person. Cheri has a spirit that is pervasive. Those that meet her immediately experience her exuberance for life. She is one of the toughest people I know with one of the best attitudes you can imagine. With her mix of emotional support and reflective wisdom, she is who you want to be around when things are tough. Cheri helps us all lead not just a "half full" life, but an "overflowing" one. 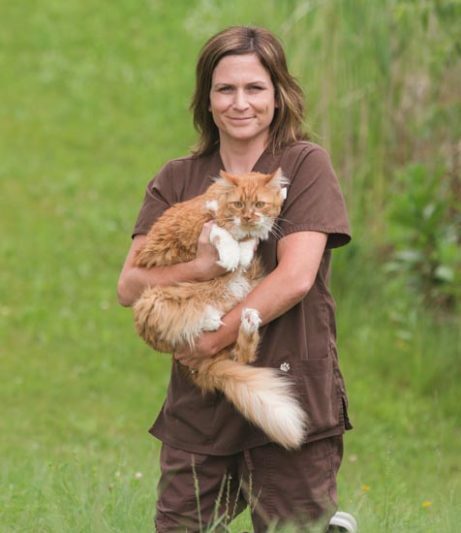 Liz has over ten years of experience as a veterinary technician. She earned an associates degree in veterinary technology at Madison Area Technical College in 2004. In her free time Liz enjoys spending time with her husband, son, and daughter. Her hobbies include reading, cooking, and walking her best friend, their lab mix Indy. The words that best describe Liz to me are quiet grace, spice, and confidence and her personality is such a fun mix of these three qualities. Getting a rise out of Liz is nearly impossible which is so valuable in our often tumultuous world. While one may think that Liz is shy, she has a spark that makes us laugh on a daily basis. And when it comes to skills and experience, she is wise beyond her years. Having Liz join us has given us a stability I could only have dreamed of from a team member. 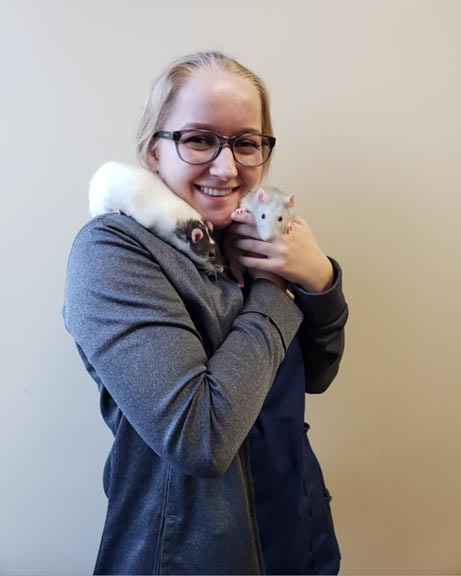 Having just completed coursework for her veterinary technician degree, Paulina will be sitting for boards to become certified winter 2019. When not working Paulina enjoys spending time with her family and boyfriend. While one of our youngest in years, you would never know this about Paulina. Hard working and quick to pick up new skills, after only being at Healthy Paws for a couple months you could easily forget that she was “new”. We look forward to being part of Paulina’s formative years in this wonderful profession. Oh, and if you happen to prefer communicating in Polish, Paulina is fluent! 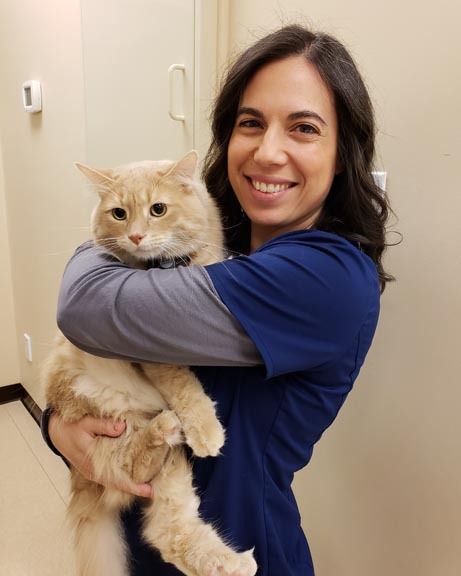 Vanessa is our newest member joining us Sept 2018, but she has been in the veterinary field for five years. Having recently moved back to the McHenry area from Maryland, Vanessa enjoys spending time with family including her young niece and nephew, reading, and spending time walking her two dogs. Katelynn joined our team in September 2015. 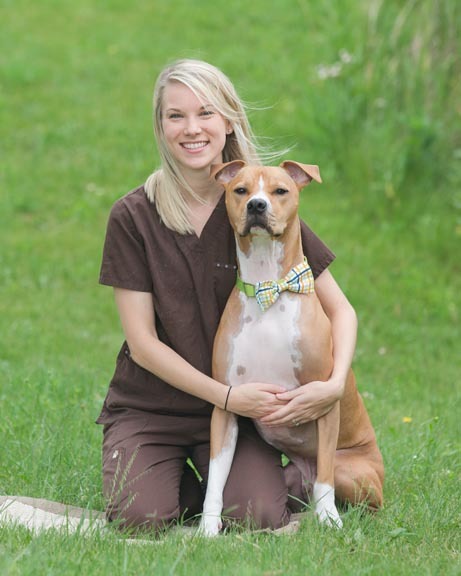 She has been in the veterinary industry for seven years starting as a kennel assistant. Most of her time away from work is spent with her husband, son Mason born in June 2016, and infant Maximus. When time allows she can be found hiking with her two dogs Greenbean and Mac, remodeling her new home, or exploring outside with the kids. She is also a mom to cat Pretzel and box tortoise Stitch. Katelynn has to be one of the "chillest" people I have ever met. During our first phone interview it was obvious that Katelynn had a presence, a confidence in herself, her beliefs, and her goals that made her special. And then she showed up for her interview with bagels, there was no question then Katie understood and appreciated being a team player. Since then we have continued to enjoy how reliable and dedicated Katie is to our business. Daily we see this in how she handles situations with a calmness that is enviable. Working through both of her pregnancies, it has been a joy seeing Katelynn's journey as a new mother and being a part of her extended family. 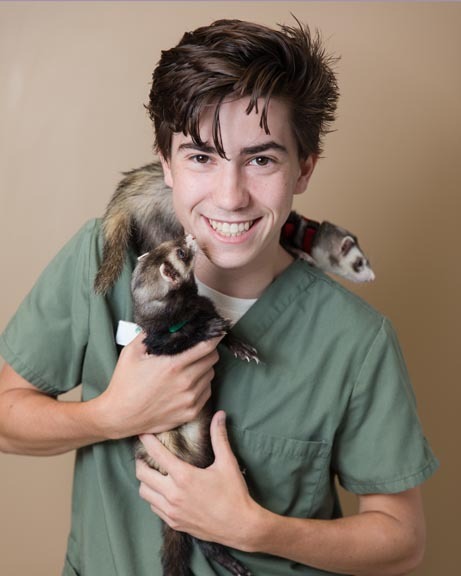 Evan first came to Healthy Paws Animal Hospital following his junior year of high school as an assistant. He is currently a junior at Iowa State University and will be applying to veterinary school in the upcoming year. When home on breaks, Evan continues to work at Healthy Paws as an assistant to our technician team. In his free time Evan enjoys spending time with friends, his ferret and family dog, and parachuting. Many people will tell you “they want to be a vet”, after working with Evan, I am confident he will be a vet. As a team we have had the pleasure of watching Evan grow up over the years, much to his chagrin as we often reminisce. Not only is he smart and driven, but he is also what I would call salt of the earth. Equal parts inquisitive asking questions as I practice medicine and team player bringing french toast casserole to a brunch potluck, Evan brings a breath of fresh air to our team. Maria has been a in the veterinary field for thirty years. Her experience is vast, encompassing specialty care, general practice, management, and blood bank operations. Maria currently works for VCA Aurora and an emergency technician and thankfully does relief work for us in her spare time. In her free time, what there is of it, Maria enjoys spending time with her family including five children, her four cats, and catching up on a good show. 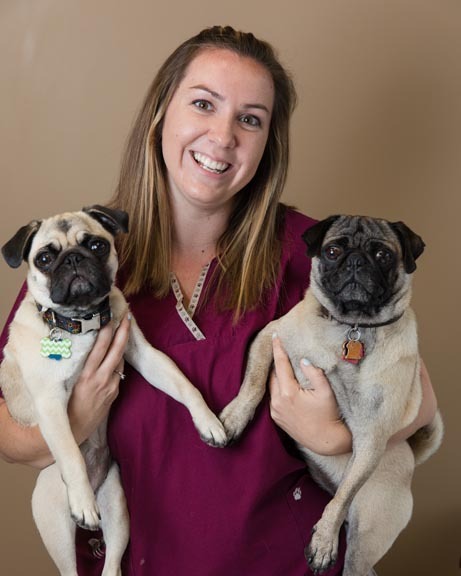 I met Maria prior to opening Healthy Paws while she was a veterinary technician at our local emergency hospital. I was practicing in Downer’s Grove at the time so we crossed paths sadly when euthanizing our dog Ollie locally. I then worked with her at CASE while doing relief work for them as we built our practice. Maria is the amazing, she not only has experience, but she is chill as a cucumber in times of chaos. She has pretty much seen it all over the years. We love having Maria slot in and help us whenever possible. Kadee joined Healthy Paws Animal Hospital in 2011. Her favorite part of working at the hospital is building relationships with clients and their pets. Her husband and she live in Cary with their daughter and two cats while her son will be graduating from University of Iowa this year. In her free time, Kadee can be found cheering on her children in all they do, making a fun new recipe, or reading a good book. I had the pleasure of meeting Kadee as a child care provider years ago. Kadee’s openness, welcoming personality, and sincerity immediately caught my eye as someone I wanted to be around and work with someday. It has been a pleasure experiencing Healthy Paws and our families grow with Kadee over the years. We often say “remember when” we only used two exam rooms, “remember when” the kids were all in diapers or grade school. Kadee is an integral part of our team, always eager to learn and explore new solutions. As we often say, you can hear Kadee's smile through the phone. 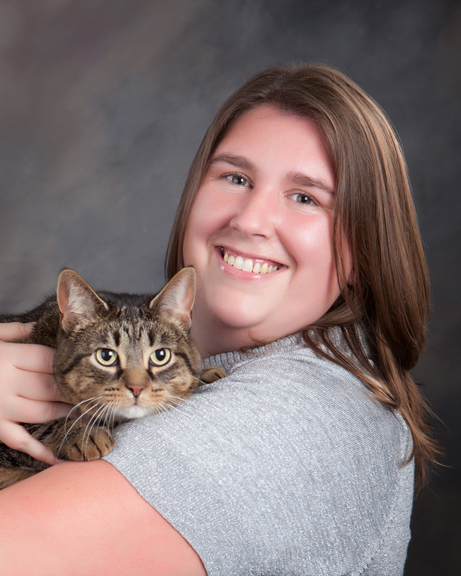 Eden has been working in the veterinary industry since high school. While she has had many roles, she has found her passion in operations as a care coordinator. Joining our team spring of 2016, Eden shares her home with her fiance, two young sons, and four cats. In her free time she enjoys spending time outside with her family, gardening, and hiking. This is when she is not studying for her Certified Veterinary Practice Manager and Bachelors in Business Management degrees. Rare do you come across a person with as many layers and sides as Eden. Very quickly after meeting her it was apparent that she was not just a super nice person but a go getter. When you think Eden's platter has to be full, she is there asking for more, wanting to learn and master any new skill offered. A girl of my heart, Eden will take a to-do list and relentlessly check things off. She is one of the few people who have been able to politely pester even my practice manager husband through his endless task list. This appetite to figure things out, get things done, is a true gift. All the while, she is an amazing mother and caregiver. You know you are in good hands when you are with Eden. Nicole joined our team in 2017. 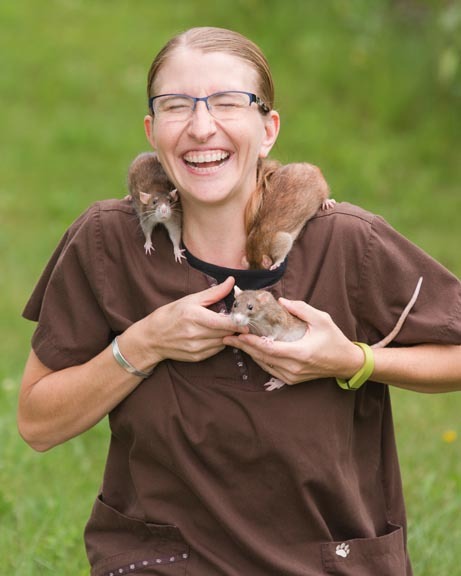 She worked previously in the veterinary field and then spent several years teaching high school science. Prior to returning to the animal world and joining the Healthy Paws’ team, Nicole spent time raising her children. In her spare time Nicole enjoys her church community with her pastor husband, spending time with her daughter and two sons, and instrumental music. We pride ourselves at Healthy Paws in finding the right personalities to create as fulfilling and supportive a work environment as possible. Nicole is the epitome of this. I cannot think of one instance where I have seen Nicole in a bad mood. She handles life with grace, always seeming to find a bright spot even in seemingly tough situations. Then there is her creative side. Whether it be a fun recipe (buffalo chicken soup, amazing! ), creative art projects with her kids, or homemade wildflower seed sponges as gifts, Nicole is thoughtful and caring throughout. Jean-Marie has been with Healthy Paws since our opening in 2010. She has a degree in Animal Ecology from Iowa State and second degree in Operations Management and Information Systems from Northern Illinois. She has been a stay at home mom after leaving her previous role in audit with Sears. A lifelong resident of Crystal Lake, Jean-Marie lives with her husband and their three younger children who attend Central High School and St. Thomas while their eldest daughter attends Northern Michigan State. In her free time, Jean-Marie enjoys sports as a fan and coach, reading, volunteering, and in general having fun. Jean-Marie wears many hats. She is not only our bookkeeper, but also my sister-in-law, an amazing mother, aunt, Godmother, and friend. Owning a small business is not always easy, and managing the books is no exception. I remember clearly the day I called Jean as I was going for a jog. I had a huge favor to ask of her, would she take over our books. My practice manager husband (her brother) and I had been “sharing” this job and it was a terrible idea. To know you have infinite trust in someone as your bookkeeper is such a peace of mind. Jean-Marie keeps us in line while still making sure we are having fun. 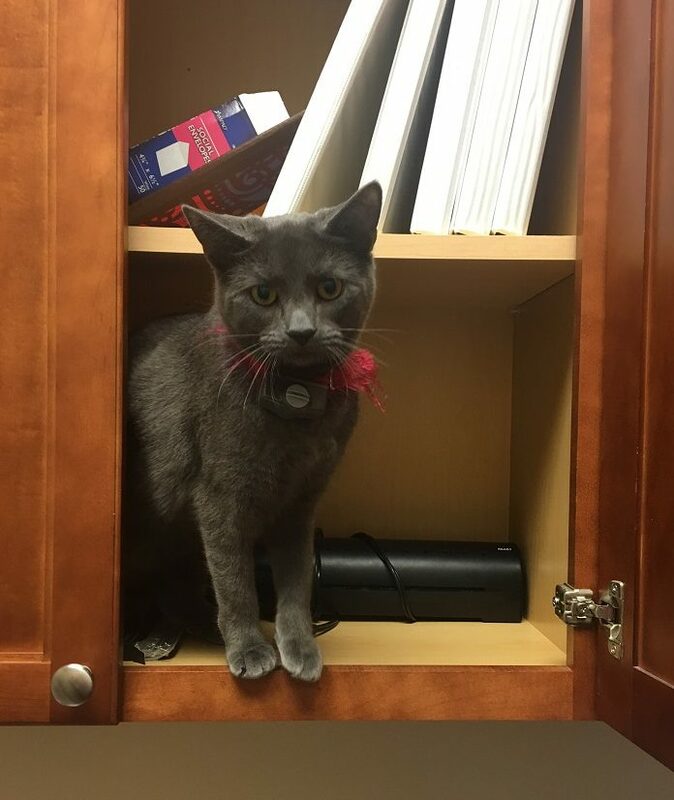 She also shares a special bond with our clinic cat Eleanor who on a regular basis keeps her company and bites her toes. 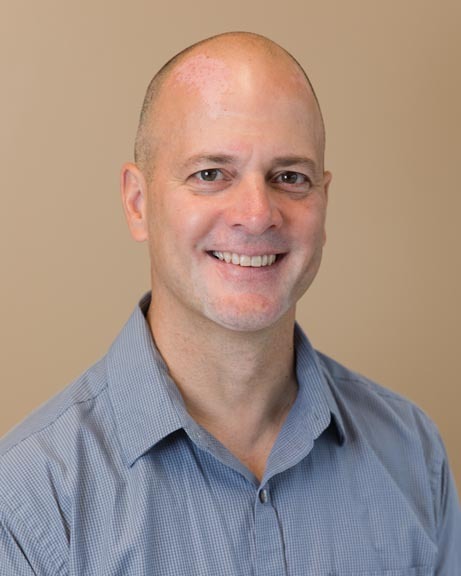 John, co-owner and Practice Manager of Healthy Paws, is Dr. Burgess’ husband and proud father to 4 beautiful girls, and pet dogs Elsa and Willow. 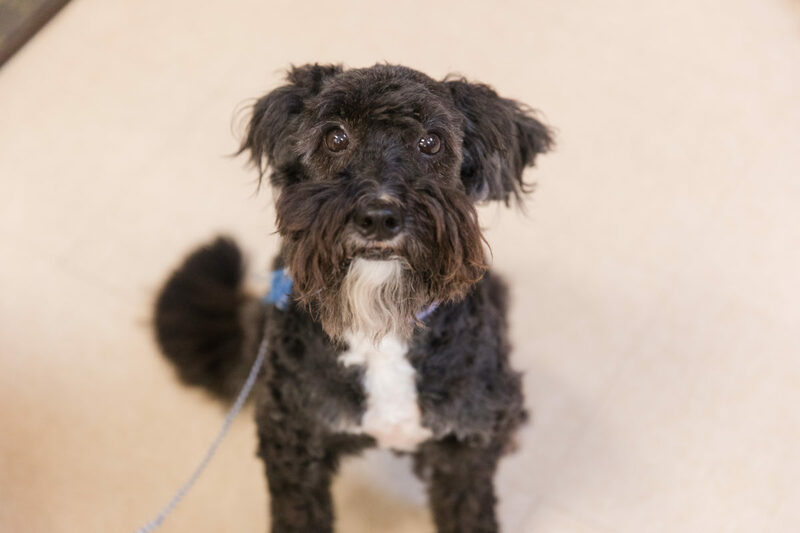 Prior to developing Healthy Paws, John spent almost two decades at Motorola in finance, business development, and operations management. The Ferrero family loves outdoor activities, traveling, and spending time with family and friends. My rock and partner. It was not without much thought that we started this practice. It was a dream for years, but without John's support, guidance, and business experience it would have never come to fruition. I am proud of what we have developed, but even more proud to have John as our team leader. After first having ratties as pets for our children at home, we decided they would be a wonderful addition to our hospital also. I cannot say enough about these little creatures and their personalities. What most do not realize is that rats are extremely intelligent and trainable, clean, and sweet. Of our three original hospital rats, we sadly only still have one, Macaroni. Last year we did get to enjoy having a litter of babies with the boys living now at Healthy Paws, and the girls at home with their father. 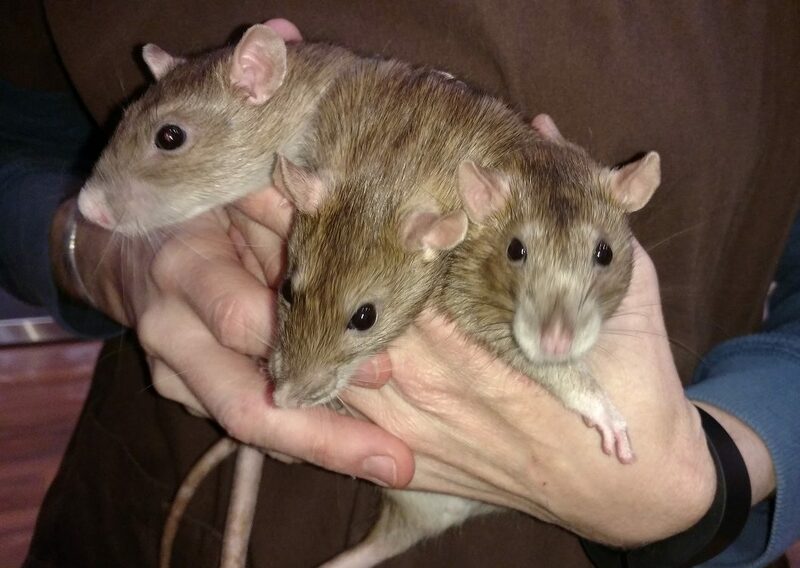 Chickpea, Runner, and Pinto (all named after beans, much like their parents Butter and Vanilla) are a little more rambunctious than their girl housemate but equally as eager to be held. We are super excited to share our rodent friends with our clients and many a buddy they have made. Stop by and ask to hold one of them someday! 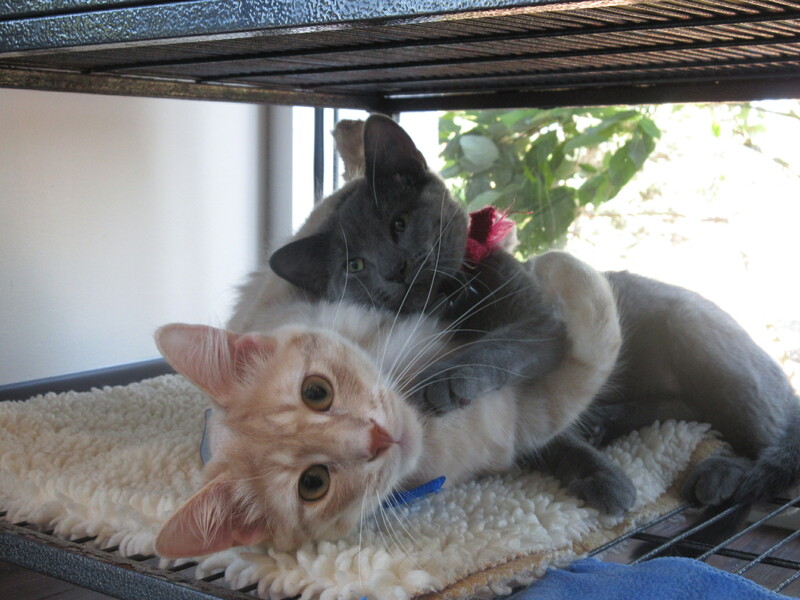 April 2016 brought feline friends to Healthy Paws Animal Hospital, Gus Gus (orange longhaired) and Eleanor (gray shorthaired). They have learned the ropes of being clinic cats, sauntering around in spite of barking, vacuums, and at times mayhem. Be sure to pet our friendly mischievous felines on your next visit! Gus Gus has a more regal presence and is ever the socialite making sure everyone receives a proper welcome. Gus is down to earth and a hanging out kind of guy. While he does not seek adults out, he has a special place in his heart for kids. 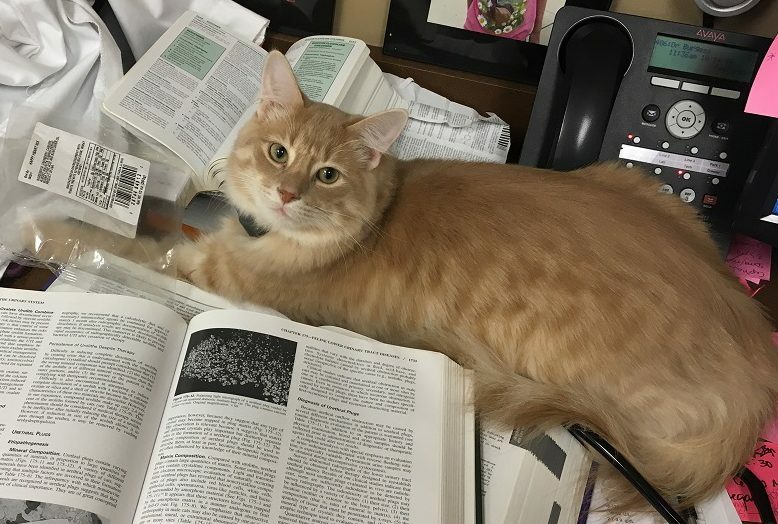 And if you see a paw under your exam room door someday, it is his! Gus’ favorite past times are playing with his Turbo Scratcher toy, eating food from his SlimCat Toy, and carrying around his favorite mouse. Eleanor could be described as goofy and presumptuous. A real queen bee, she demands attention and solitude based on her mood and is known for “putting herself to bed” in a variety of cabinets, drawers, and rooms. And oh the look if you interrupt her beauty sleep! Her favorite pastime is being in people's business and sitting in laps.